UNC Charlotte was awarded a major collaborative research grant by the National Science Foundation’s Alliances for Graduate Education and the Professoriate (AGEP) program. 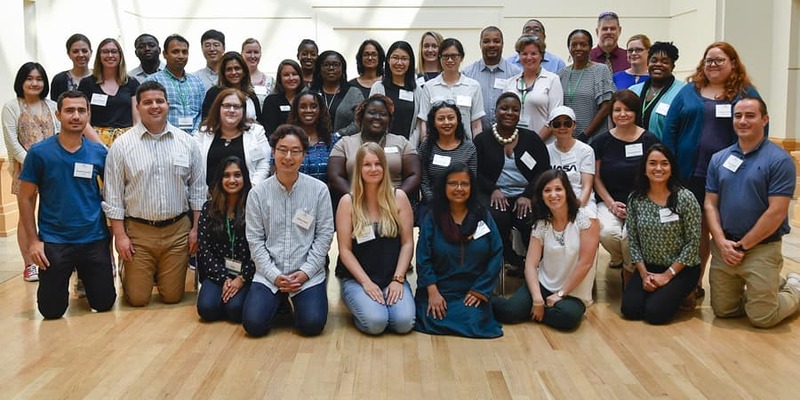 The award, “AGEP North Carolina Alliance: An Institutional Transformation Model to Increase Minority STEM Doctoral Student and Faculty Success” is a five-year grant that provides $2.2 million to three institutions, with $663,163 to UNC Charlotte. “Diversity in higher education is a benefit to us all. As an urban, public research university, UNC Charlotte seeks to serve our region and state through scholarly research that solves issues of the greater community. This is achieved best by faculty comprised of diverse backgrounds and experiences,” said Provost and Vice Chancellor for Academic Affairs Joan Lorden. Yvette Huet, professor of kinesiology and director of Advance Faculty Affairs and Diversity Office, is UNC Charlotte’s principal investigator on the grant. She and her team are collaborating with researchers and officials from North Carolina A&T State University and North Carolina State University to develop, implement and study a model to create institutional, department-level and faculty change and promote Ph.D. completion and progression to faculty careers among historically underrepresented doctoral students in STEM disciplines. Lisa Merriweather, a UNC Charlotte associate professor of adult education, is the co-principal investigator and social science researcher facilitating the research on all three campuses. The National Science Foundation funds the Alliances for Graduate Education and the Professoriate (AGEP) program. Its goal is to increase the number of historically underrepresented minority faculty, in specific STEM disciplines and STEM education research fields, by advancing knowledge about pathways to career success. The program aims to support the development, implementation and study of innovative models of doctoral education, postdoctoral training and faculty advancement for historically underrepresented minorities in specific STEM disciplines, and to advance knowledge about the underlying issues, policies and practices that have an impact on the participation, transitions and advancement of historically underrepresented minorities in the STEM academy. Recent studies have indicated that historically underrepresented minority STEM associate and full professors occupy 8 percent of senior faculty positions at all four-year colleges and universities and roughly 6 percent of the same positions at the nation’s most research-intensive institutions. The provosts at the three collaborating institutions, deans of the universities’ STEM colleges and 30 department heads and graduate program coordinators are working on this grant project. Based on this study of the graduate student experience in their own departments, the faculty members will develop a departmental plan to build these insights into departmental practices and procedures. Project funding will be available to help implement initiatives identified in the plans.